Home » climate change » China, Water Transfers, Disease and Climate Change: Transferring Risk with Water? 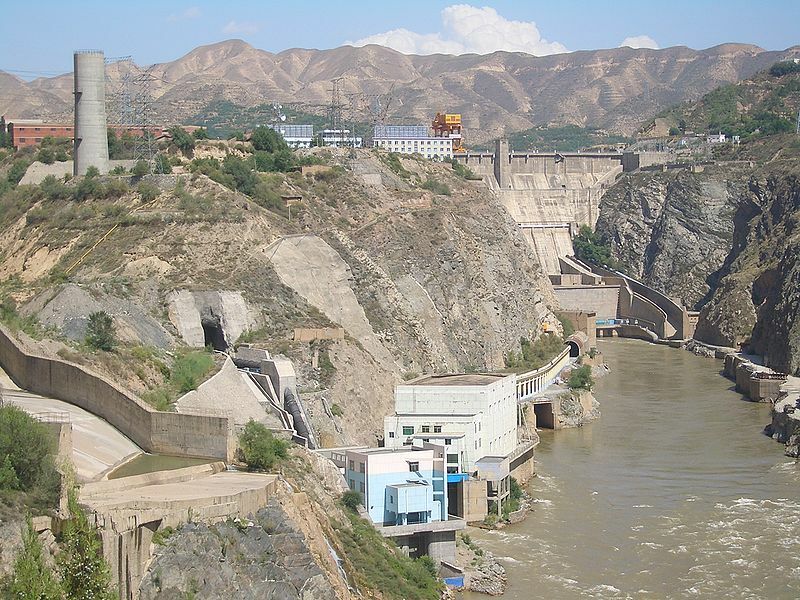 China, Water Transfers, Disease and Climate Change: Transferring Risk with Water? China is in the process of constructing a massive “South-North Water Transfer Project” connecting the more water-abundant south to the water-stressed north. There are a number of motivations for building the project including natural water scarcity, increased demand from both increased industrialization and population, decreasing water quality, and recent instances of severe droughts (with implications for global food supply). There are still some uncertainties about how exactly climate change will impact water resources in China, but projections of significant rainfall variability are well-founded, and the government is taking the potential risks seriously. In that context, this project could be seen as part of China’s climate adaptation strategy, though it is already apparent that there are some serious unintended consequences. One of the most recent developments in the project are reports that, in addition to the intended transfer of water, the project is transferring sewage from the badly polluted central Danjiangkou Reservoir in Hubei province, into key water-sources. Bloomberg Buisnessweek reported “in July, Cheng Jiagang, vice mayor of Shiyan city, to which Danjiangkou belongs, estimated that 1.3 million tons of sewage were dumped daily into rivers feeding the reservoir.” But this problem extends beyond the borders of Hubei province. According to one report “wastewater treatment plants only cover around 60 percent of some densely populated regions, especially the urban-rural fringe zones.” Wastewater treatment is an ongoing challenge that the nation is continuing to work on, but with a growing population and rapid urbanization, meeting increasing demands will prove very difficult. There are some potentially serious problems with dirty water including the spread of disease. Water-related diseases are a major threat to human health. In China, common water-related diseases include, “diarrhoeal disease, helminthiasis and schistosomiasis from exposure to contaminated soil and water, as well as vector-borne diseases that result from inadequate management of water resources, including malaria, dengue and Japanese encephalitis.” (For more on water-borne disease in China see this report). An important study on China by Elizabeth J. Carlton et al. found that despite economic growth “the traditional causes of illness, including infections resulting from unsafe water and poor sanitation and hygiene, still exist and are unevenly distributed across China’s diverse cultural and geographic landscape as a result of regional differences in urbanization, economic development and environmental factors” and that country-wide measures of these diseases hide regional disparities. This then begs the question: In light of the sewage-transfer problem, what impact will the South-North Water Transfer Project have on the spread of water-related diseases throughout the region? And in an interconnected world, what might be the global risks? So here we have a situation where a project intended to relieve a region of water stress (and possibly, to adapt to projected water stress as a result of climate change) could ultimately become a conveyor of disease. Such cases of possible “maladaptation” are very important to look out for, and learn from, as Geoff Dabelko et al. aptly note in Backdraft: The Conflict Potential of Climate Change Adaptation and Mitigation. There are few easy solutions to water and climatic stresses. This example is just one of many we are likely to see in the future as we continue to navigate our way through the challenges of the anthropocene. By Caitlin Werrell and Francesco Femia in climate change, water on December 2, 2013 .